Apache Kafka is used for building real-time data pipelines. At the core, Kafka is an open-source messaging system that is designed to be scalable, accurate and super fast. 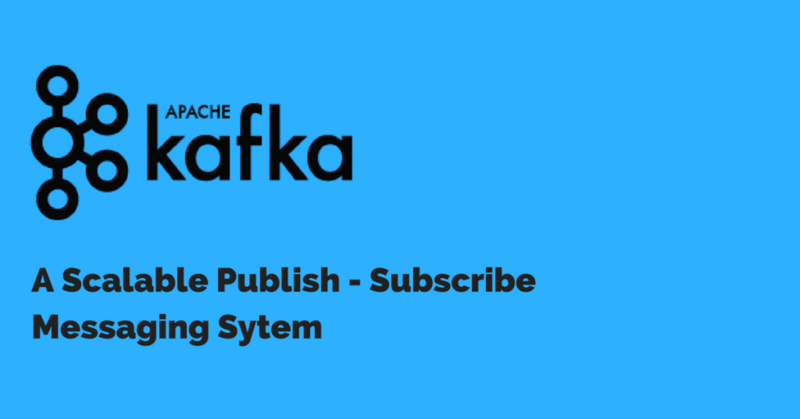 Kafka lets you publish and subscribe to a string of valuable data and it functions similar to a message queue system. Kafka is a reliable source code while handling support queries for both customer-facing applications and also connecting downstream systems with real-time data. Some of the biggest software companies such as LinkedIn, Twitter, Netflix, Airbnb etc have turned to Apache Kafka to support the constant publish-subscribe data activity and also act as a storehouse of distributed databases. If your business objectives involve managing and streaming real-time data pipelines or applications, then Apache Kafka is the best fault-tolerant and low-latency platform for your big data requirements. How does Apache Kafka work? The Producer API allows publishing of a stream of records to multiple Kafka topics. The Consumer API allows subscription to one or more topics and process the stream of records related to them. The Streams API allows an application to consume an input stream from one topic and produce an output stream to another topic, thereby effectively transporting and managing the input-output stream. The Connector API as the name suggests helps the Producer and Consumer APIs connect Kafka topics to data applications. Apache Kafka as mentioned earlier is the best choice for businesses who want a highly scalable data solution to build and manage data pipelines. Unlike most messaging queues, Kakfa is highly durable. It replicates data and supports multiple subscribers. It scales up easily and you will face very few downtime issues with Apache Kafka. Also, Apache Kafka has high throughput for publishing and subscribing messages. With huge data storage capacity, Kafka can maintain stable performance even when dealing with terabytes of data. Kafka can work in combination with Apache Spark and Apache Storm real-time data analysis and streaming of data. We understand how software suites are implemented, with years of quality experience on complex SAP and Hadoop problems, we have gained immense knowledge and expertise in technology. We are pioneers in our fields and that is exactly what makes us the best in the business. Contact us today for Apache Kafka Development today!